4.48 Psychosis. Jim Fish, Brian Duffy, Matt Kyle & Adam Bassett. Credit © Becky Bailey. A giant clock bearing the time 4:47 stares at the audience unblinking for a full ten minutes before curtain up at 4:48. In this striking opening image, the atmosphere of depressive claustrophobia begins with the distortion of time, where a single minute can feel like an hour. 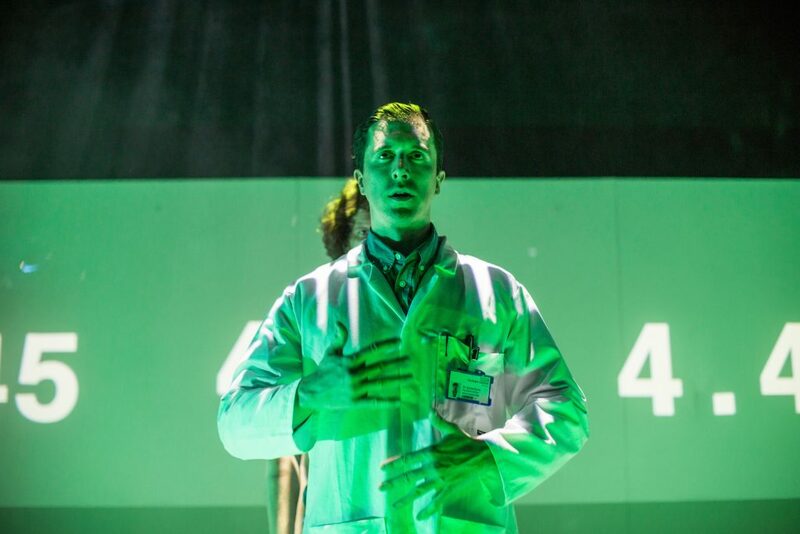 Deafinitely Theatre’s production envelops its audience from the get-go with its visually arresting production of Sarah Kane’s final work, written shortly before the playwright’s own death by suicide. 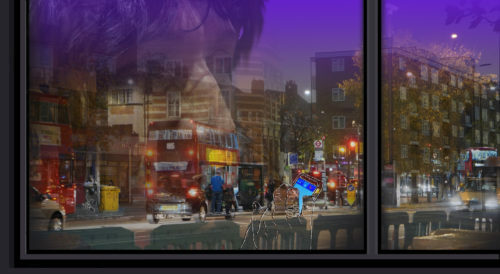 Critics have previously embargoed the ability to comment on 4:48 Psychosis as a piece of art, due to its tragic similarity to Kane’s personal experiences and untimely passing. But this does the work an injustice. Deafinitely Theatre deftly discovers the contemporary in Kane’s near 20-year-old play, drawing searing comment on issues of today in its direction and casting. 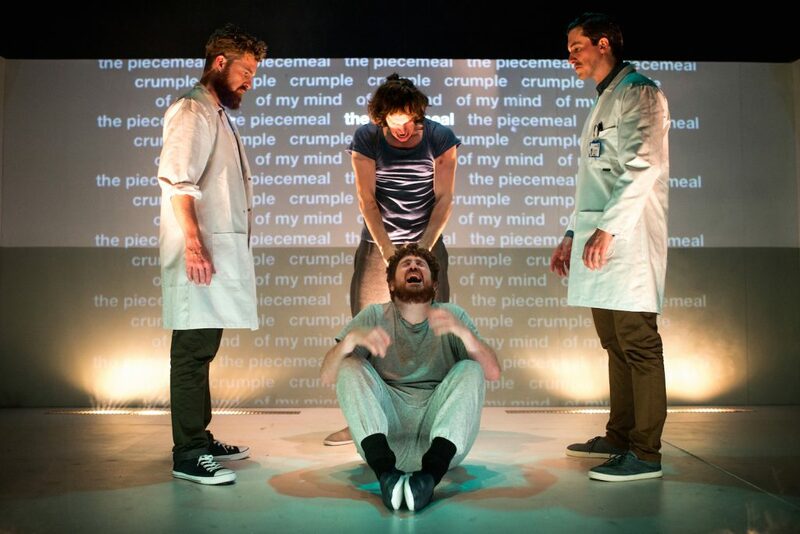 Performed by an all-male cast of four, two hearing actors play medical professionals, or perhaps more accurately, the medical profession itself: the characterisation is far more symbolic than it is naturalistic. Two Deaf actors (Brian Duffy and Adam Bassett) portray men trapped in depressive darkness and this casting choice is the key to its political comment. The Deaf men fluently, eloquently, express their inner turmoil in British Sign Language but this emotional insight evaporates in the space between their fluid hand shapes and the hearing, unaware medical professional who stands before them. It’s a heart-wrenching comment on the compounded loneliness of being both Deaf and mentally unwell. As director Paula Garfield highlights in her programme notes: while men are more likely to die by suicide, Deaf men are at an even higher risk. 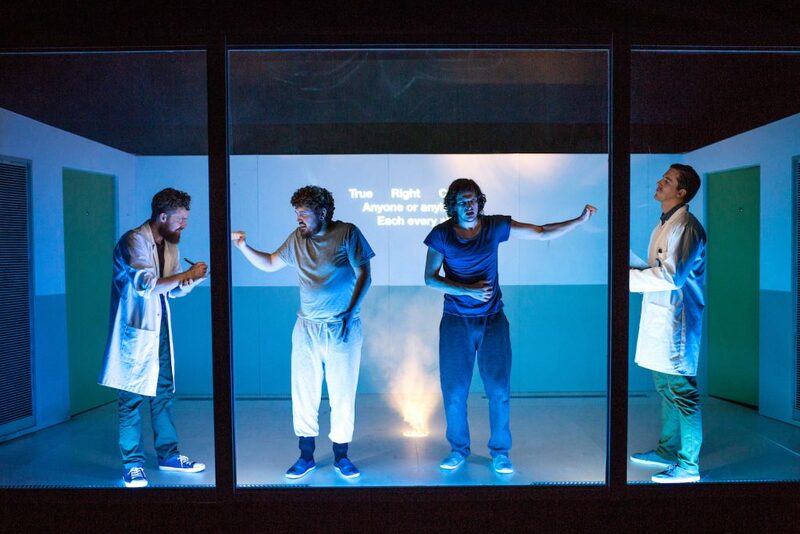 Both Duffy and Bassett use the visual vernacular (in a nutshell, BSL meets physical theatre) to stunning effect, giving new meaning and new life to Kane’s words. The production’s great strength is the decision to not caption or voiceover much of the BSL performance. This allows the hearing audience to focus on the visuals, and furthermore to highlight the potential for misunderstanding, the isolation of depression. Is it, in fact, the isolation that causes the depression in the Deaf men portrayed onstage? The questions raised by this production are multiple and urgent. Movement direction by Alim Jayda skilfully draws distinction between the poetry of Kane’s lived experience and the words she has drawn from the medical-model driven frame within which mental health treatment is placed. It’s chilling that, in almost two decades, so much of this language is still terrifyingly current in the psychiatric profession. Here lies the universality of Garfield’s vision: in the clutches of the medical model, all of our humanity is stripped away, Deaf or hearing. Deafinitely Theatre’s 4:48 Psychosis grabs you by the heart, squeezes tight and doesn’t let go for its 80-minute powerhouse of a production. 4.48 Psychosis. Matt Kyle. Image © Becky Bailey.